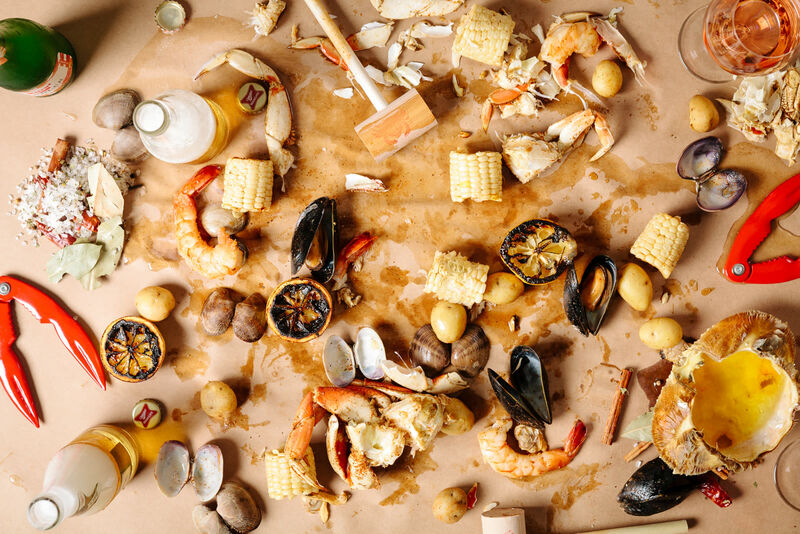 I haven't yet seen "I Love to Eat," the new play at the Portland Center Stage about the life of James Beard, but I'll bet it somehow involves Dungeness crab. Evidently that is the food Beard was referring to when he described a "...meal the gods intended only for the pure in palate." 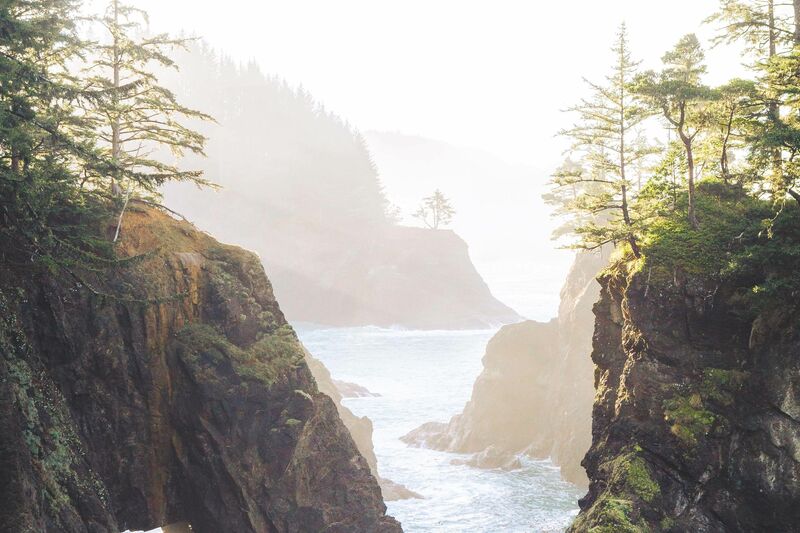 Dungeness crab is right up there with hazelnuts, marionberries and handcrafted beer on the list of gourmet Oregon natives making our state famous. But only the crab can rightfully call itself a diva. This year, it's been quite the diva indeed, making us wait past its usual harvest start date of December 1 until the very end of the year. But the wait is over. Dungeness crabs have arrived, and they are stocked in local markets like Zupan's, City Market, and New Seasons, waiting for you to bring them home. 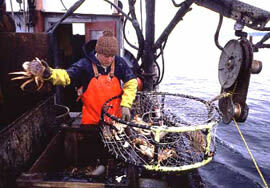 Crab season usually extends from early December through mid-August, with peak production coming in the first two months. This year, the late start means the high season will last only a couple more weeks (unfortunately, a late start doesn't necessarily mean a late finish, just a short season). That's just the way it is with real food; you can't make it in a factory, you have to wait for nature to make it for you. Dungeness crab "landings," as they're called, are naturally cyclical. In recent years, Oregon has enjoyed tremendous harvests; this year's will be less so, but again, that's just the way it is. 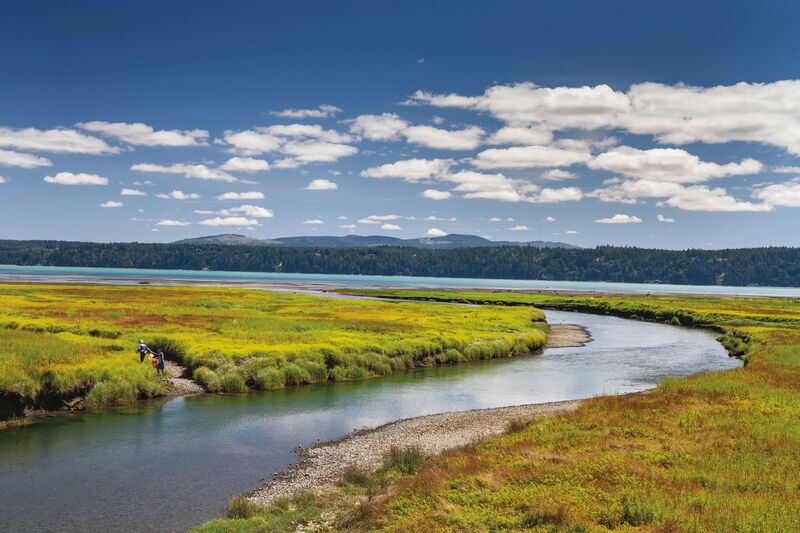 Average annual landings in Oregon are about 10 million pounds, but have ranged from just over 3 million to more than 33 million in recent years. Total production for the entire region (from California to Alaska) averages more than 42 million lbs/year. Just how do these special crabs come to our tables, and what makes them so special? Dungeness crabs have a high meat to shell ratio, which makes sense to anyone who's ever tried to extract a meal out of a crab in its shell. There's a lot of work involved, and you'd better not be in a hurry, but at least with a Dungeness, you can expect about a half pound of crab meat from a typical 2 pound crab. That, plus the fact that the crab is so fresh and light and delicate... well, James Beard had it right. Gods are involved. State regulators are also involved in getting Dungeness crabs to our dinner plates, however. Not only must the season be officially designated, but fishers have to be permitted to harvest the Dungeness. Whether on a large vessel or small boat, the fishers lower steel "pots" some 30 to 600 feet to the ocean floor, baiting the pots with squid or razor clams. After a few days "soaking," a pot is lifted up (by hydraulic power) with its cache. Only mature males are allowed to be harvested. On board the ship, crabs are kept alive in circulated seawater tanks. 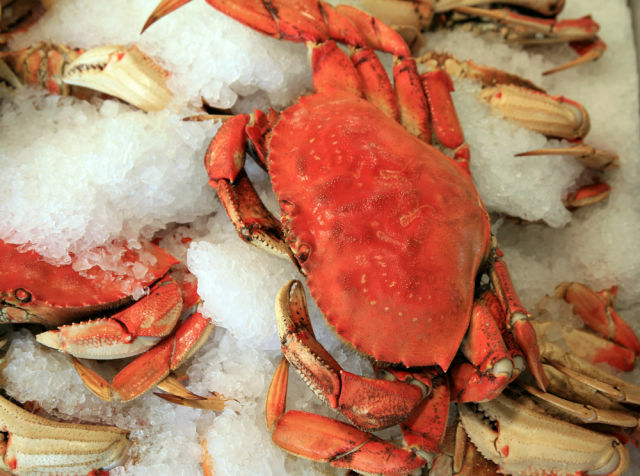 Where to get Dungeness crabs at the market? New Seasons sources Linda Brand Crab (an Oregon/Washington collective which also sells directly at Hollywood, Hillsdale, and Portland winter farmers markets). 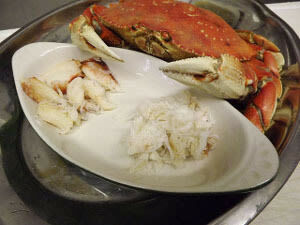 Zupan's also had Dungeness crab "fry legs" for $50/lb, sourced from Pacific Seafood. And how to prepare and cook these delicacies? Best to leave these details to the experts. Cooking and cleaning are rather more complicated than, say, washing an apple. The Oregon Dungeness Crab Commission provides excellent basic cleaning and cooking instructions (complete with illustrations and a video). 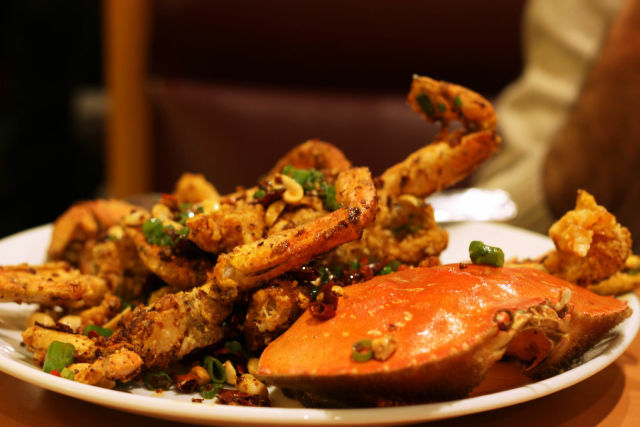 As far as recipes go, the Crab Commission tells us, "many feel the Oregon Dungeness Crab is best when served warm, straight from the shell and dipped in drawn butter or seafood cocktail sauce." 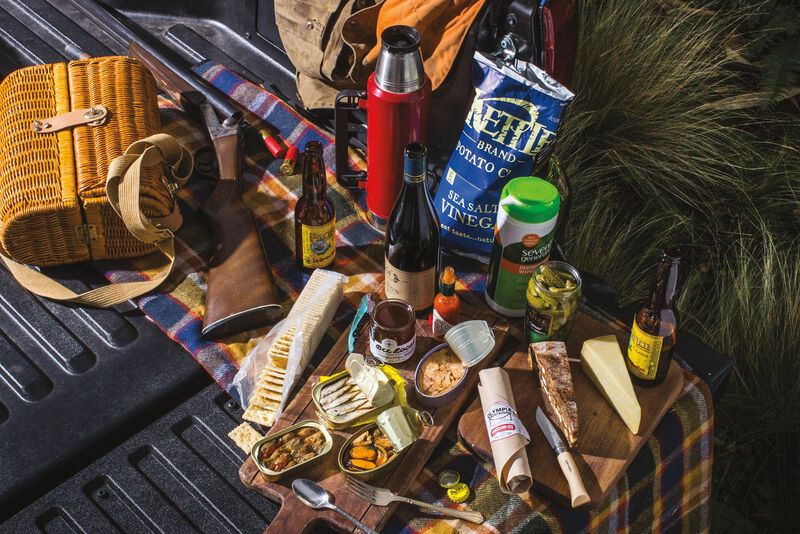 If you do want to venture beyond the gloriously simple, Edible Portland has a great variety of recipes to try. It's hard to go wrong when using crab meat; it is amazing in soup or chowder, with pastas, combined with a binder as "cakes" or burgers, flaked into sandwiches and salads... Just remember to let the delicate flavor and texture shine through.